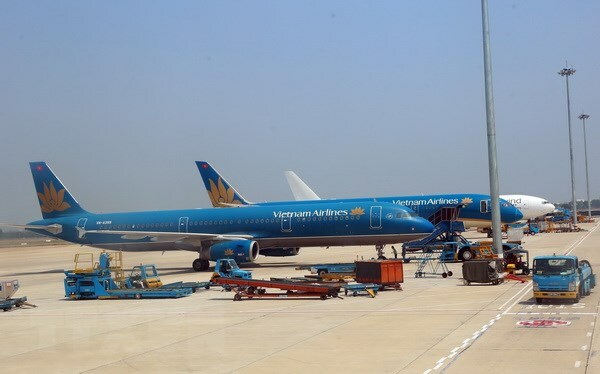 HCM CITY — The national carrier Vietnam Airlines (UPCoM: HVN) has gained approval of the Hồ Chí Minh Stock Exchange (HoSE) to list its 1.4 billion shares on the southern bourse. The company will move to HoSE from the Unlisted Public Company Market (UPCoM) and the stock ticket will remain as HVN. The company’s market value on HoSE is approved at VNĐ14 trillion (US$602 million). Vietnam Airlines planned to switch to HoSE from UPCoM in 2018, but the decline of the stock market in the second half of 2018 made the firm delay its plan until now. The national carrier sold 49 million shares, equal to 3.48 per cent of the total, for VNĐ1.09 trillion at the initial public offering (IPO) in November 2014. In 2016, the Japanese aviation firm ANA Holdings bought 8.8 per cent of Vietnam Airlines’ capital for $108 million. In 2018, Vietnam Airlines posted a record-high revenue of VNĐ96.8 trillion, up 17 per cent year on year. Its pre-tax profit for 2018 rose 34 per cent year on year to VNĐ3.24 trillion. Vietnam Airlines shares on UPCoM have increased by nearly a quarter since the end of last year, ending Tuesday at VNĐ41,200 per share.